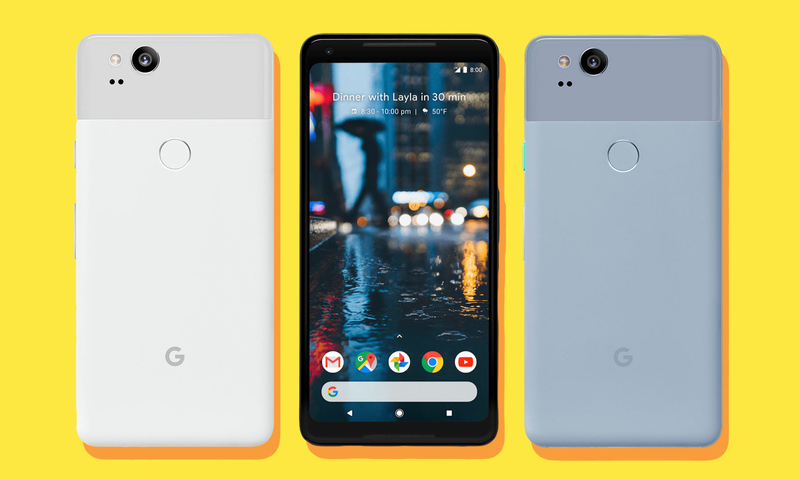 Google has revealed the new Pixel 3 smartphone, and several features of both the hardware and software are likely to appeal to travelers. Since the original Pixel debuted, the camera has been a standout feature. Tom’s Guide called the Pixel 2 XL the “best overall camera phone” of 2018 and Tech Radar also gave the phone high marks, ranking third. The Pixel 3 and Pixel 3 XL improve on the 2 with features that could help make a DSLR obsolete. These are the features we think travelers will be most excited about. As camera quality continues to improve on smartphones, it’s tempting to rely only on your phone to take pictures on vacation. The camera on the Pixel 3 XL is beyond impressive, and besides great technical specs, there are additional features that make it a tempting all-in-one device. The front-facing camera has a feature called “group selfies” that adds 68% more background to the frame. Selfie sticks had their moment, but it’s passed, and a wider angle means you can capture more people or more scenery. There’s no struggling to get the Eiffel Tower or Pyramids of Giza in the shot with you and your travel companions. Top Shot is another standout feature: When activated, the phone doesn’t just take one image — instead, it captures about a second of footage from which you can select the best photo (or have Google do it automatically). As a bonus, if that second is especially great/hilarious/gorgeous, you can also save it as a gif or mp4. There’s also great image quality in different lighting conditions, with the Pixel 3 offering “Night Sight” to illuminate low-light photos without flash. Flash-aided photos still don’t look great, even in the age of high-quality cameras, we can carry around in our pocket. Google’s fix is a combination of hardware and software that could make you turn off autoflash for good. Google Lens, which debuted with the Pixel 2, will search Google for information about whatever you take a photo of. If you’re roaming the Autobahn and happen upon a castle in Austria, snap a pic and Google can tell you the name, and offer search results for historical facts. Call Screen is a new feature Google is rolling out that will pre-screen phone calls when you’re not able to pick up. Even though fewer and fewer people are making phone calls, sometimes they’re still necessary. Call Screen offers a stop gap that doesn’t force you to listen to a voicemail. In addition to launching the new phones, Google also unveiled a suite of home devices that all work together with Google Assistant. Using Pixel Stand, the Pixel 3 and Pixel 3 XL can be turned into a smartphone-sized digital picture frame with Live Album. Live Album lets you pick specific albums or people to feature, or you can just set it to show highlights it chooses from recent photos. Google Home — whether mini or max or Hub — also help create a “smart” home so you can start planning or get reminders about travel across devices. And the Nest Hello video doorbell also integrates with Google’s devices so you can see who’s at the door even if you’re not at home. Google Pixel 3 is shipping beginning October 22. Pricing for the Pixel 3 starts at $799, and for the Pixel 3 XL at $899. Check with your phone carrier to see if they’re offering any specials (like Verizon, which is running a two-for-one deal on the 64GB Pixel 3).